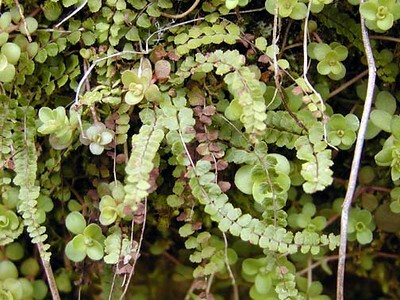 Ebony Spleenwort is one of the tiniest of all ferns. It can be seen along Chestnut Top Trail in the moister areas. It is intermingled with stonecrop here.